a unique crystal gas light shade.clam shell style .has a small heat crack. (see photo). 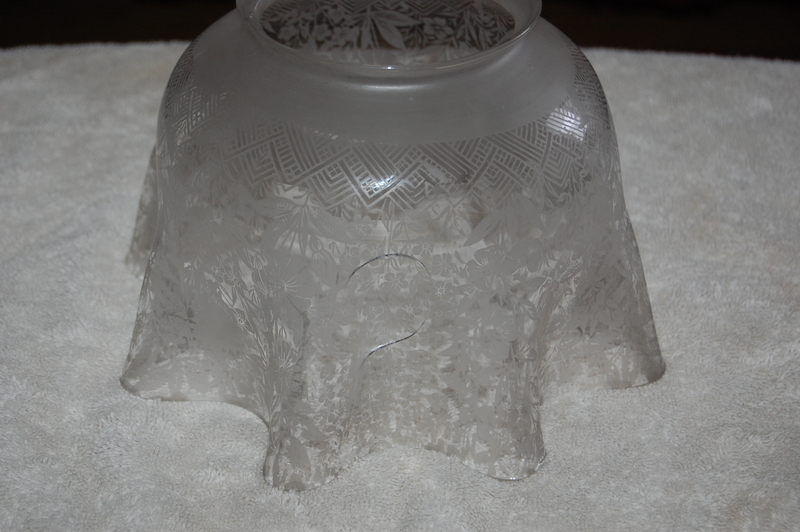 it has a very nice acid etched floral pattern.probably from the 1880’s or 90’s.